This is the first course of the Brain Gym in South Africa learning track. 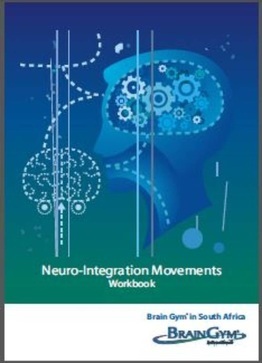 In this 2-day introduction course you are are introduced to the four-step Brain Gym® warm-up program called PACE and all the Brain Gym® movements. The user feels instantly focused, on track, and ready to begin any task or meet any challenge. Discover the function of the Triune brain: the Reptilian brain, the Limbic System and the Neo-Cortex, and the learning implications of brain functioning in terms of three dimensions- laterality, focus and centering at a basic level. Candidates will learn how "knowing" the dominant eye, ear, hand and foot can affect your ability to read, write, and other functioning. The workshop is an active experience with a lot of fun. You will need to wear comfortable clothes to be able to move freely. Make a Life is a member of Brain Gym in South Africa, who in turn is an affiliate of Brain Gym International (BGI). This allows us to issue you international recognised certificates. We need you to become a member of Brain Gym in South Africa, for us to continue to stay affiliated to BGI and to offer you a high quality internationally recognised qualification. For this reason we are adding a membership fee to NIM of R150.00 which is valid till March the following year. Many teacher have found that by doing Brain Gym with the children for about five minutes a day, the children concentrate better, are calmer and much more. Teaching has become easier for the teachers who do Brain Gym daily with their class.